Freedom of information (FOI) reform has often been slow in Australia. There was a decade (and a change of government) between Gough Whitlam’s 1972 election promise of freedom of information and the passing of the Commonwealth’s Freedom of Information Act in 1982. There were 15 years between the recommendation of the Australian Law Reform Commission and Administrative Review Council to create an FOI Commissioner and the establishment of that position in 2010. Slow progress can be appropriate if it results from a cautious and informed approach to reform with evidence-based analysis and extensive consultation. Unfortunately, FOI reform can sometimes be based upon on little more than long-held scepticism, or a panicked reaction to the outcome of a particular case. Before the Office of the Australian Information Commissioner (OAIC) was established in 2010 the Administrative Appeals Tribunal (AAT) undertook merits review of access refusals and there was no FOI ‘champion’ offering guidance and oversight of agency compliance. The reform currently proposed by the government will again disperse these roles – reviews to the AAT, complaints to the Ombudsman – and leave many of the broader information policy activities without a steward. Taking a step backwards in Commonwealth FOI in this way is proving to be a slow process at the moment. The delay results not from thorough investigation, but from an impasse. It has now been over a year since the Commonwealth Government attempted to take a step backwards and abolish the OAIC. Last year the budget papers removed funding in anticipation of legislation being passed to abolish the statutory office, but the amending Bill remains stalled before the Senate. The Canberra office has closed and a skeleton staff is attempting to maintain some functions with severely reduced funding. In the United Kingdom there are also proposals for reform of FOI. These reforms relate to the veto power. On one view the proposals would involve no more than a step back to the original intention of the legislature. However, strengthening the veto has the potential to undermine the overarching objective of open government. Central to the veto power is a fundamental question in FOI law: who has the last word on determining whether disclosure is in the public interest? Is it an external review body such as an information commissioner or tribunal, or is it the Ministers and departments who hold the documents? The veto empowers senior members of the Government (including Cabinet Ministers and the Attorney General) to issue a certificate that, in effect, overrides decisions or enforcement notices issued by the UK Information Commissioner or First Tier Tribunal. Any decision by the Information Commissioner or Tribunal that the public interest requires disclosure of documents ceases to have effect. This veto power was used, controversially, to prevent disclosure of the correspondence between the Prince of Wales and Ministers in the Blair Labour Government (the notorious ‘black spider memos’), and yet, as readers will be aware, those letters were published recently. The Guardian newspaper and journalist Rob Evans undertook a decade long battle to get access to the letters. When the letters were released the public learnt about a wide of range of views held by the Prince of Wales and, interestingly, his awareness of the freedom of information regime that did not seem to have any chilling effect on his written communications. The case provides an excellent case study in how rational minds can disagree – quite fundamentally – about whether disclosure of information is, or is not, contrary to the public interest. The Government departments and Information Commissioner originally agreed that the letters ought not to be disclosed. On appeal the Upper Tribunal allowed disclosure and the Attorney General then issued a certificate to override that decision. It was judicial review by the courts, appealed ultimately to the Supreme Court, that ensured publication. The Court invalidated the Attorney General’s veto certificate. Before the case concerning the Prince’s letters had worked its way through the courts, the UK Parliament amended the Freedom of Information Act (FOIA) to change the exemption that protects the communications of the Monarch, heir and second in line to the throne from a qualified to an absolute exemption. The strengthening of the exemption did not operate retrospectively and the Evans case continued. Removing the public interest analysis in any exemption is a step back from open access. However, it is the proposals for reform of the veto power more generally that may have the greatest impact. The Supreme Court, affirming the Court of Appeal, invalidated the Attorney General’s certificate because it could not be justified on ‘reasonable grounds’. The veto power in the United Kingdom legislation requires the person signing the certificate to form the opinion that the public authority’s assessment of the public interest is the correct one on ‘reasonable grounds’. Simply coming to a different conclusion on the public interest is not sufficient. The Supreme Court set a high standard for ‘reasonable grounds’ because the executive government was disagreeing with the detailed findings of a judicial tribunal. ‘Reasonable grounds’ is a phrase familiar to Australian freedom of information and administrative law. Conclusive certificates signed by Ministers to prevent FOI disclosure are no longer part of Commonwealth FOI law: they were abandoned in the lead up to the 2010 reforms (there remain some limited provisions for conclusive certificates in a few States and Territories). Before 2009, Commonwealth Ministers could sign certificates that established ‘conclusively’ that certain documents were exempt, and that included establishing conclusively the public interest test for a qualified exemption. The conclusive certificates that were once part of the Australian FOI scene operated very differently to the UK veto certificates. The important difference was that in Australia the Government did not disagree with any tribunal findings – the ‘trump card’ was played much earlier in the process. Australian Ministers issued certificates after a government agency had decided that disclosure of the documents was contrary to the public interest and before any external review. With a certificate in place, the review that could be undertaken by the Administrative Appeals Tribunal was confined to determining whether ‘reasonable grounds’ existed for the claims made by the Minister. The provision prevented any merits review at the Tribunal level and it was not open to the Tribunal to balance the competing public interests and come to its own conclusion. Even if the Tribunal did find that there were no reasonable grounds for a certificate, that finding was merely a recommendation that could be disregarded by the Government so long as a notice was laid before both Houses of Parliament. In the context of Australian FOI, as it then operated, it was quite straightforward for a Minister to issue a certificate. In some cases it might have been that, given the opportunity, the Tribunal would have agreed with the Minister that the disputed information was exempt, in other cases the Tribunal may have weighted the public interest factors differently. A Minister issuing a certificate did not need to run the risk of an appeal. The shutting down of the public interest analysis under the Australian system at such an early stage was bitterly resented by FOI applicants and for a time conclusive certificates came to represent everything that was wrong with the Australian FOI system. This was not just because applicants disagreed with the outcome in particular cases, or believed that the Tribunal would have been more likely to release the documents, but also because the public interest analysis was not transparent. It was quite difficult to determine how many certificates were being issued and whether the reasons were sound. In comparison, it has been a far more open process in the UK. There have been relatively few cases where the UK veto has been exercised, and the transparent process may have played a part in the cautious use of the power. The veto is exercised only after a comprehensive review of the issues by the Information Commissioner or the Tribunal who publish their decisions. For the Supreme Court this was problematic because it left the executive attempting to overrule judicial decisions, at least in relation to the Tribunal. However, from the perspective of open access to information there is a lot to be said for a system that opens up discussion of the public interest to external review bodies. There is also greater openness through reporting to Parliament in the UK system. When a veto is issued a copy of the certificate must be laid before each House of Parliament, and the Information Commissioner may also exercise a general reporting power to make his own report to Parliament. The Supreme Court’s decision in Evans has left the UK Government with a veto that is far less powerful than had been assumed. When that is combined with a statutory scheme with few absolute exemptions, and quite a good track record on some statistical indicators, there are ample opportunities to openly consider the public interest implications of FOI disclosure in the UK system. The Government’s response to the Supreme Court’s decision in Evans has been a call to strengthen the veto. It is not yet clear how that might be achieved. It may be that attempts are made to make Parliament’s intention concerning the current veto ‘crystal clear’, but any suggestion of a veto that operates earlier in the process by ousting merits review should sound alarms. In the battle between executive government and external review bodies over who has the last word on the public interest in information disclosure the central importance of transparency ought not to be forgotten. If veto claims are to be made by governments then it is absolutely essential that external review, published reasons and reports to Parliament shed light on those claims. The Australian experience was that if the veto is exercised early in the process then there is a danger that the important public scrutiny that emerges from external review will be lost. 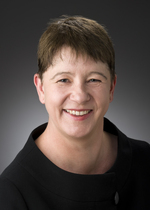 Dr Judith Bannister is a Senior Lecturer at the Adelaide Law School, University of Adelaide, and is currently a Visiting Fellow at the Institute of Advanced Legal Studies, School of Advanced Study, University of London undertaking a comparative study of FOI. This post was first published on AUSPUBLAW, the Australian Public Law Blog. AUSPUBLAW is a recently launched national platform for academics, practitioners and others from across Australia to communicate their research and provide expert commentary on topical public law issues. Visit the blog to learn more: www.auspublaw.org. This entry was posted on June 12, 2015 by Constitutional Law Group in Australia and tagged Freedom of Information, Freedom of Information Act 2000, R (Evans) v Attorney General .